[DIGITAL DOWNLOAD ONLY] This colorful poster illustrates some of the many ways water pollution can be prevented in your community. 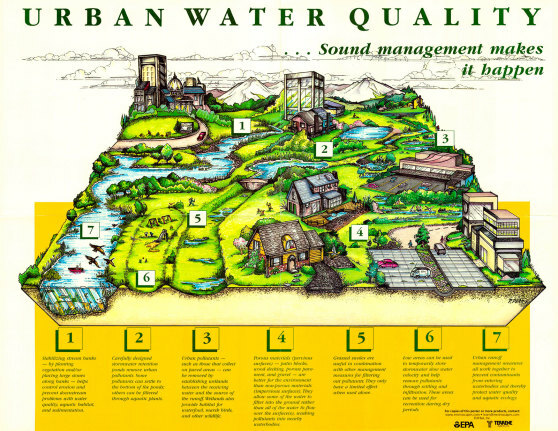 These urban runoff management measures work together to prevent contaminants from entering waterbodies (size: 17" x 22"). This is a scanned image of a folded poster created by hand some years ago as print copies are no longer available; image may show a folded crease but should print well.